First and Foremost: I suppose this topic has the potential to veer toward the political side. That is not the intent and lets stay away from that danger zone. Second: I understand the concept of Royalties. I think a person deserves continuing compensation for unique ideas, work, etc. My question revolves around the idea of Royalty in the modern age, especially in the United States. Seems everyday I hear a news story here in the US about a new royal baby, royal wedding, royal outfit/fashion, etc. Last I checked the USA had a revolution a couple hundred years ago and told the king to pound salt. When/Why did we start becoming obsessed with the king/queen in the castle again? No offenses intended to those across the pond and beyond. Monarchies/Royal Families have been part of your culture/history and I can understand your news media and daily actions giving them some attention. I do not know if it is the idea of a Cinderella Story or finding out your long lost Uncle was the Duke of Nothingham and left you a fortune. . . 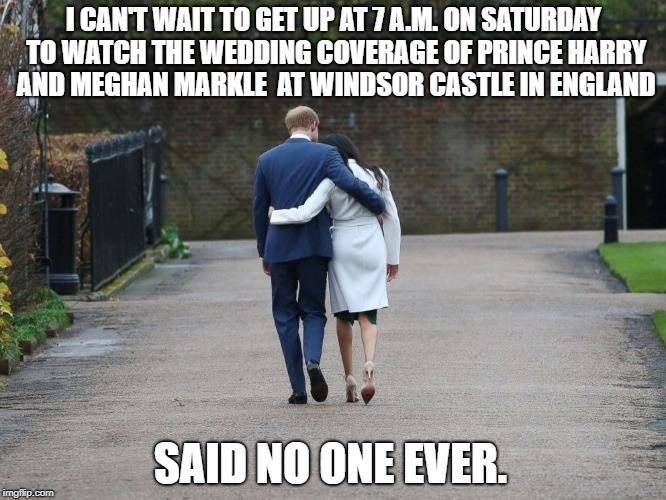 Anyone out there a fan of the Royal Family or are you on the other end of the spectrum and get tired of the endless media coverage? I rarely have time to read my wife's magazines. Can't stand the "royal families" nothing royal about them. They are just men and women like you and me. I can't speak for the states but for Canada our history is very very tied to the monarchy. If you ask me it calls back to a simpler time where the monarchs were the original celebrities and they still have that celeb following. I don't really get it but my mum loves checking out the royalty and really get a kick out of it. When we were in London it was cool to check out the extravagant palace and jewels so there's that too. I do not understand the interest in anyone who is always in the limelight. I for one could care less about Kim Kardashian's latest outfit, who Talor Swift is dating, or the dress that is going to be worn at the Royal wedding. I do not understand the interest in anyone who is always in the limelight. That is a good point that I also second. I've always tried to live with the philosophy that I want to be rich, but not famous. For the record I am not there yet -- at least financially. Other counties have royals to gossip about. We have Hollywood. I don’t get it either. I suppose a lot of girls want to be a princess. Maybe that ties into it somehow. As a Texan the whole concept of royalty is just foreign. Just people in the public spotlight...celebrities...humans love to watch what others in that position do, the drama, the pomp and circumstance. At least there is a lot of history and tradition in the UK. I took some tours when I was there a few years ago, some neat stuff! But these days it's just another celebrity, like a Hollywood actor, pretending to be something bigger. If you're asking for my opinion, the people that REALLY get into that stuff just don't have enough going on in their own lives. It's easier to watch others "do" while you sit and do nothing. I've discussed this with my girlfriend many times - it's the pageantry, the tradition, and the family aspect. I understand it. When I was in London, it was pretty cool checking out all of the royal stuff. I've still got a nice wooden Buckingham Palace pasta spoon to remind me! That's kind of harsh! Are you a sports fan in any way? I mean...do you think the entire populace of England have nothing going on in their own lives? Tradition means a lot to people. Me too. I would like to have enough money so I would not have to worry about the things that I worry about now. The schooling of my children, rising gas prices, etc. I do not need the fame. I would not need everyone to take a personal interest in everything I do. Whatever is going on in the life of a celebrity does not affect my life. Its amazing how much some people get so wrapped up into things like that. Perfect example. A lot of people in society thought that Jersey Shore was a great show. I see royalty every time I open my wallet. It's not enough that they are glorified welfare recipients, their mugs are on our money too!! Was going to edit or emphasize the "REALLY" get into that stuff. And I think the same applies to those who REALLY get into sports, yeah. Are we talking about Royal Madness? All I know is, Kaneda wouldn't have a successful podcast if everybody wasn't obsessed with pinballs' royal families. It's pretty much the same thing. "romance novels offer a form of escapism that many people thoroughly enjoy"
Because people are bored with their own lives...that's why they care so much about royalty and celebrities. There is always a chance they might get their heads lopped off. Keeps me fascinated. The fascination isn’t with the public, in general. It’s with the media and the elites who run it. We just have to watch what they give us. Most Americans see it on TV and believe it must be a big deal if it’s on TV, so then it becomes a big deal. If treating people with respect and kindness were made to be a big deal on TV, then people would make that a big deal, too. That means you do care, even just a little! I like the Queen, her outfits are always beautiful. 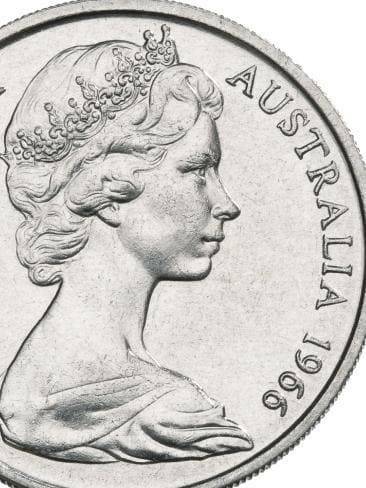 I find it interesting looking at how coins have been updated to reflect her aging. It seems like monarchies tend to be romanticized here in US movies and media. Kings & queens, knights, princes, and pricesses. Heck, a lot of Disney movies have monarchies in them. 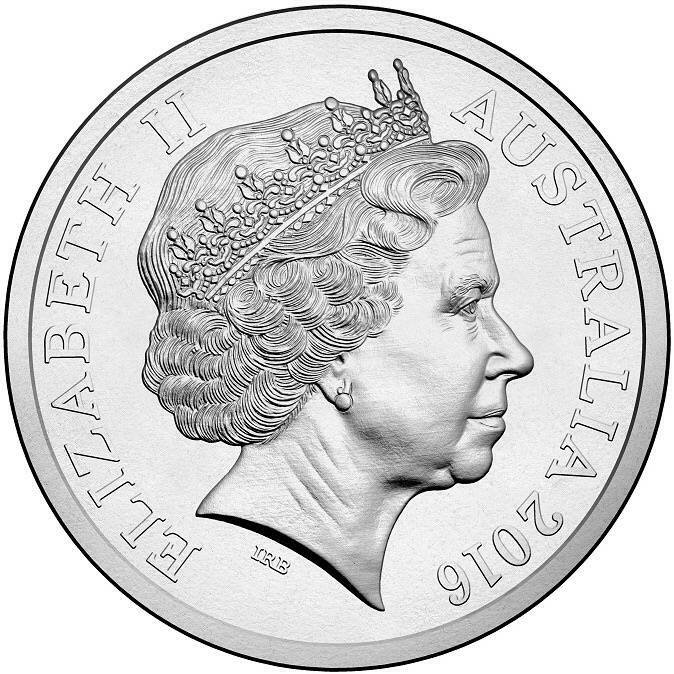 Has anyone see the shows "Victoria" or "The Crown"? I found them interesting--they detail/dramatize the succession and rise of Queen Victoria and Queen Elizabeth II. As for media hullabaloo and celebrity gossip, no thanks. The only crown I care about is Crown Royal! I thought this was going to be about the recent fascination in putting purple/uv LEDs in games. The fascination with royalty is similar to the fascination with actors and actresses. The same way people line up for hours to watch them arrive at the academy awards. Basically they have no life of their own, so they think by latching on to somebody elses fame, it may in some way make them more whole. What really fascinates me is they will give a knighthood to somebody that has probably never even wielded a sword. i just keep up on which size implants pamela is getting installed ! I'm guessing in part this thread was started when you realized Blue Bloods would not be shown last night and it was replaced by some stupid show about the topic this thread is about. Kind of pissed me off too. That's no way to follow Hawaii 5-0. What a letdown. Here in the UK, we're just checking how The American Experiment goes for another few centuries, then maybe we'll do something similar and retire our royals. For the moment, I don't think we're too keen to have a President. Can't think why. 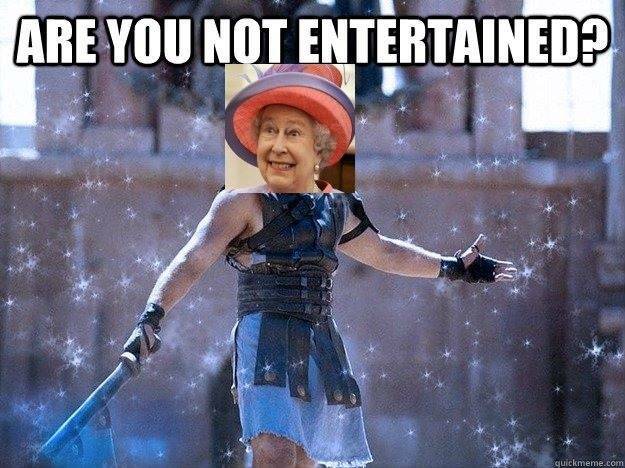 Her Majesty would not be amused by that ribald comment. I was though. What is this?! My g friend always takes my cash! 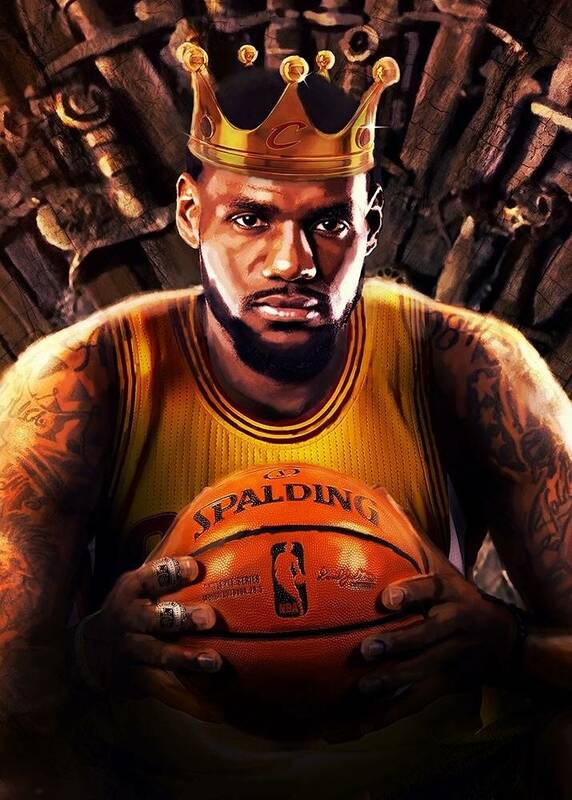 Here is N. America, we have our own king..he gets a lot of press/TV time too..
That would be a let down. Honestly, I do not watch much television. I made a point to stop watching the news several years ago -- too much negativity that eats away at you whether people realize it or not. The Mrs. records several shows that we will watch together and I will occasionally get caught up in something on the History or Discovery Channel. Too many other projects calling for my attention -- especially now that the weather will be getting warmer. I'll probably take in a bit more of the idiot box (as Gramps affectionately called it) as I get older and start slowing down. The Royal/Hollywood nonsense always pops up when logging out of the e-mail, in the magazines at the supermarket, the usual places I suppose. I simply do not understand the obsessing/fascination with another person that I will never interact with and that probably could care less that I am even alive. I simply do not understand the obsessing/fascination with another person that I will never interact with and that probably could care less that I am even alive. I'd take the Queen and her brood over the Kartrashians. I think people want to daydream a little too much and end up getting lost in what is real and what is not. Now if all those people would just spend half the time they spend on dreaming on things that are a little more important (family) what a difference it could make. It’s good to dream but only after a good day of work, or if you’re retired. Hey, the Queen was 92 today! I love being part of the Commonwealth! I would have picked you as more of a Hutt River Province personality type. Well may we say God save the Queen because nothing will save the banana republicans. I have the utmost respect for John Montagu, fourth Earl of Sandwich. Talk news on the radio keeps going on about some kind of royal wedding coming up. Sounds like the prince found an American to take back to England. . . one from Hollywood no less. Not sure if the poor fella knows what he is getting into -- I wish any couple the best but the celebrity types don't tend to stay married very long. Just like the political ads before election day, cannot wait until this thing is over so I can stop hearing about it. Sounds like the prince found an American to take back to England. . . one from Hollywood no less. At least it isn't a divorcee like Edward VIII, that only lasted 35 years.